U.S. naval buildup in Southeast Asia, particularly in Cambodia, coincides with a major Israeli intelligence and weapons smuggling operation in the region. Israel has been a major, albeit covert, player in Southeast Asia since Israeli multi-billionaire tycoon Shaul Eisenberg began supplying weapons to Cambodia's genocidal Khmer Rouge regime in the 1970s. Eisenberg, a close business partner of China's military, was also an early arms supplier to Khmer Rouge leader Pol Pot. Eisenberg was active with Asia's Jewish community during World War II, not as an compatriot of the Allies but as a close intelligence and business partner of Japan's Imperial government, which was allied with Nazi Germany and Fascist Italy in the Axis Alliance. Escaping Nazi-controlled Europe, Eisenberg settled in the Far East, making his primary bases of operation Japanese-occupied Shanghai and Japan itself. In Shanghai, Eisenberg, along with Imperial Japanese military intelligence units, formed units of future Jewish terrorist groups -- the Irgun and the Shanghai Betar (Betar was founded in the 1930s by the Polish Zionist Yakob Jabotinsky, a supporter of Italian Fascist leader Benito Mussolini, to battle the British for control of Palestine and the ideological godfather of later neoconservative oracle Leo Strauss). The Japanese taught the Jewish paramilitary forces in Shanghai, including some who escaped from Joseph Stalin's Jewish Autonomous Region creation in the Soviet Far East on the Chinese border, how to disrupt colonial occupiers' logistics and command and control elements, strategies that had been successful against the British, Dutch, French, and American colonial authorities in Asia. The Irgun and Betar gangs would eventually use the knowledge gained from the Japanese in their terror campaign against British and Arab forces in Palestine following World War II. Eventually, Irgun and Betar veterans would form the present-day Likud Party, now headed by Binyamin Netanyahu, a noted extreme right-winger. After the war, Eisenberg began selling war surplus material, including iron and steel scrap. Married to a Japanese woman, Eisenberg established the Israel Corporation, a huge holding company , which, during the 1970s, began to secretly export Israeli military equipment and weapons to China. Under a Panama-based company called United Development, Inc., Eisenberg also began exporting weapons to Central America's most insidious dictatorships, including that of Anastasio Somoza in Nicaragua. Eisenberg's vast holdings eventually included Israel Aircraft Industries and Zim Israel Navigation Company. As the United States faced imminent defeat in the Indochina War at the hands of the Vietnamese, Laotian, and Cambodian communist-nationalist forces, Eisenberg wasted no time in cashing in on America's defeat and the new power alignments in Southeast Asia. He began selling weapons from his new business partner - China - to the Cambodian forces of Khmer Rouge leader Pol Pot. After the defeat of the U.S.-backed military government of General Lon Nol, installed after Richard Nixon's National Security Adviser Henry Kissinger, a close friend of Eisenberg, ordered the CIA to overthrow Cambodian head of state Prince Norodom Sihanouk, Cambodia fell victim to a bloody civil war between Vietnamese troops backing Pol Pot's one-time ally Hun Sen and the Chinese-backed "Democratic Kampuchea" government of Khmer Rouge leader Pol Pot. It was no mistake that the Gerald Ford administration and Secretary of State Kissinger backed the Khmer Rouge. Kissinger and Ford's long-time Michigan financial backer, industrialist Max Fisher were both financially and ideologically linked to Eisenberg. Ford's supposed "grand moment" -- the repatriation in 1975 of the crew of the U.S. "merchant" (spy) ship, the SS Mayaguez, from Khmer Rouge forces was a Kissinger- and Eisenberg-designed ruse designed to build up Ford's support in the face of the American military defeat in Southeast Asia. That ruse came at the cost of 41 Marines and countless Cambodian military forces and civilians. Kissinger authorized Eisenberg to begin a discreet program to modernize China's armed forces with $10 billion in Israeli and U.S.-designed weapons, re-exported through Israel. The reason -- neoconservative to its roots -- was to have China counteract Soviet military power in Asia and beyond. As a result of Eisenberg's Israel-China military alliance, Pol Pot's Khmer Rouge forces were amply supplied by Israel and China. Logistics were no problem since Eisenberg's Israel Corporation owned a 49 percent share in Zim Shipping, the world's third largest shipping company. Although Eisenberg died from a sudden heart attack in Beijing in 1997, the weapons smuggling activities of his friends in Mossad and Zim Shipping continue to plague Southeast and South Asia. 4. Weapons stored in buildings without adequate security. Storage facilities with so-called "enhanced security" were constructed in Phnom Penh (several facilities), Battambang, Pailin, Banteay Meanchey, Siem Reap, Banteay Srei, Preah Vihear, and Kampong Thom. The suspicions about Israeli involvement in smuggling stored Khmer Rouge and other weapons were heightened in 1999 after a mysterious fire destroyed the Cambodian military weapons storage facility at the Ream Naval Base near Sihanoukville. According to a New Zealand intelligence officer in Cambodia, the depot was destroyed by an Israeli squad after it was revealed they were smuggling weapons from the facility to guerrilla groups throughout Southeast Asia, including the small "Free Vietnam Movement" battling Vietnam's central government and Hmong guerrillas battling Laotian government forces. The Vietnamese became even more suspicious about the role of the depot after weapons from the Ream warehouse were seized by Cambodian and Vietnamese police at the Bavet border checkpoint. The weapons were destined for guerrillas of the Free Vietnam Movement. WMR visited Phnom Penh, Cambodia and discovered that the Mossad and Cambodian criminal syndicate allies continue to obtain bought-back Cambodian weapons from Cambodian government warehouses and are selling them to guerrilla groups throughout Asia, including Sri Lanka's Tamil Tigers, anti-Laotian Hmongs, the small anti-communist Free Vietnam Movement, and Burmese tribal guerrilla groups. WMR photographed a number of Zim shipping containers portside along the Mekong River in Phnom Penh. From this and other port facilities, including the port of Sihanoukville, bought-back Cambodian weapons , some originally provided to the Khmer Rouge by Eisenberg and the Chinese, are making their way to insurgent groups around Asia, possibly including Iraqi guerrillas battling U.S. forces in Iraq. Not far from Zim's Mekong port facilities in Phnom Penh sits a quiet and unassuming Mossad surveillance station. From this vantage point, Israeli operatives keep a close eye on Mekong river traffic and any "new players" who arrive into town. With new oil deposits being discovered in contested waters of the Gulf of Thailand, border skirmishes in the region are likely to increase, driving up the demand for small arms in the region. The cached weapons in Cambodia stand to make Israeli intelligence a handsome profit. Recently, the U.S. ambassador to Sri Lanka, Robert Blake, was injured in a Tamil Tiger mortar attack on a Sri Lankan military helicopter transporting him and other Western envoys. In addition to Blake, Italian ambassador Pio Mariani was also injured in the attack. Although Israel has been supplying weapons and training to Sri Lanka's government to be used against the Tamil Tigers, it has been playing a double game in also supplying Cambodian weapons to the Tamils. On September 28, 2005, the Zim Asia collided with a Japanese fishing vessel, killing seven Japanese sailors aboard the fishing vessel. The collision occurred 25 miles off the Nosappu Cape in northern Japan. What followed was the arrest in Haifa of the Zim Asia's captain, Moshe Ben David, and the Serbian second captain and Bulgarian lookout man for negligence and failure to save the lives of the Japanese fisherman, a violation of international maritime law. Israeli police confiscated documents from Zim's headquarters. The presence of a Zim ship in northern Japanese waters near North Korea once again heightened concerns about the activities of the shipping company in weapons smuggling. If Cambodia is any measure of Israel's true intentions, it is clear that Israel's double game seeks to destabilize world and regional peace by selling to adversarial sides in civil and other wars and reaping huge profits as a result. Zim Shipping containers in Phnom Penh (above) along the Mekong River. Zim has been linked to weapons smuggling in region. Rabin had the pale skin of a man who’d once had red hair. On September 11, 1988, 40 years after the murder of Bernadotte, the Israeli daily newspaper "Yediot Ahronot" came out with an article written by the paper’s political reporter, Ronni Shaked. For the first time since the murder, the men who did the killing came forward and told in detail how the murder took place. Yehoshua Zetler, the commander of the Jerusalem unit of the Stern Gang in 1948 proudly told how he plotted and had Bernadotte killed. When he was asked, "If you could relive your life, would you still have murdered the UN diplomat?" He stated, "There would be no hesitation; the UN diplomat had to be killed in order to safeguard the nation of Israel." What is important for the reader in 2003 to know is that this murder was well thought out and that it was approved by two well known Jewish leaders, each of whom held the post of prime minister of Israel, Menachem Begin (1983-1984) and Yizhak Shamir (1986-1990). At the time of the murder, Begin was the commander of the Irgun and Shamir the head of the Stern Gang. Average Christians reading this material must understand that they do not have "criminal minds." The men behind the Zionist movement have no ethical or moral values, they have the mindset of a criminal. They were determined to create a Jewish state in Palestine at any cost, and they are just as determined to maintain it and if possible enlarge it at any cost. In order to be able to proceed, they cannot operate within biblical law, nor within internationally established laws. If a person or persons threaten their project, the decision will be made – death for the one who is standing in the way. The United Nations had sent Bernadotte to Palestine to work out a peace agreement between the Jews and the Palestinians. On June 27, 1948, Bernadotte was able to broker a cease fire between the newly formed Israeli Army and the Arab coalition. He then proposed a peace plan for the region. The proposal included the call for an independent Palestinian state to be abandoned. The territories which, on November 29, 1947, the United Nations had voted to be used for an independent Palestinian state were to be given to Jordan. The city of Jerusalem was to be incorporated with Jordan and all Jewish immigration to the newly formed state of Israel would be regulated by the United Nations. No Jewish males capable of serving as soldiers would be allowed to come to Israel. The territory of Galilee would be given to the Jews, but the entire Negev desert area was to be given to Jordan. The moderate Jewish leadership started to listen seriously to Bernadotte and their pragmatic approach was, "Half a loaf of bread is better than nothing at all." The Jewish people in general were worn out by the long conflict with the Palestinians, more than 15 years of a low intensity war. The Jews coming from the war zone in Europe had suffered enough war. The majority of the Jewish people wanted peace and they were willing to pay for it by giving up some land. Begin, Shamir and other hardline Zionists knew that they were in trouble. The dream of a greater Israel and the city of Jerusalem were slipping out of their reach. Begin and Shamir publicly let it be known among the Jewish population that Bernadotte was "a secret agent" for the British Government. Once the political decision was made by the Jewish leadership to assassinate Bernadotte, the assignment was given to the Stern Gang. Yehoshua Zetler was the local commander of the Stern Gang in Jerusalem. Under his command he had several hundred fighters who the British had labeled "terrorists." They had ambushed British soldiers, planted bombs in cars and buildings and they had methodically terrorized the Palestinian population. Palestinian fighters (terrorists) fought back and the situation in Palestine was pretty much the same as it is today. No change. Zetler had his secret headquarters in the Talbiye district of Jerusalem. He brought in Dr. Israel Eldad (a Polish Jew born in 1910) who was the intellectual leader of the Stern Gang. Eldad had been a teacher at the Tel Aviv high school and after 1948 he became a journalist and editor, ending up as a professor of humanities at the Haifa Technion. Eldad agreed with Zetler that Bernadotte had to die, and the two of them then made a trip to Haifa, where they met with Nathan Yellin-Mor, the military commander of the Stern Gang. Ten days before the killing of Bernadotte, the three of them were sitting in an apartment at Carmel in Haifa and discussed the killing. Nathan and Eldad gave the strong warning, that once the killing had taken place, no credit could be taken by the Stern Gang. Instead it was agreed to issue a declaration after the killing, and give the credit to a small obscure group called "The Homeland Front." As soon as Zetler came back to Jerusalem, the planning for the murder got into high gear. Zetler called upon Yehoshua Cohen (died in 1986), the commando expert in the Stern Gang to lead the operation in the field. Zetler stated that it was not a hard assignment to kill a person who was not armed, the problem was to find four killers who, after the murder, would not talk. Zetler carefully selected four professional assassins who he knew would not talk. Meshulam Makover, who lived in Jerusalem, was his second selection since he knew Jerusalem in and out. The third member in the team was Yitzhak Ben Moshe (died in 1984), and the fourth one was only known as "The Red Head," since he refused to go public and acknowledge his involvement. Makover, Moshe and The Red Head had just come back from a British POW camp in Kenya, Africa, and Zetler decided that they needed to practice their shooting, so he took them out to a forest in Motza for the training. The assassins were given pictures of Bernadotte, so they would be able to identify him and shoot him. The order was given that anyone of the assassins who could first identify the UN diplomat, should without hesitation shoot him to death. At four o’clock in the morning of September 17, 1948, the assassination team drove to and parked their jeep along Palmach Street. The four of them pretended that they were sleeping in the vehicle. On a hill not far away lay Zetler watching the scene. Early in the morning Berndotte left East Jerusalem and the UN headquarters to travel to a meeting with Dov Josef, one of the Zionist leaders who had his office in central Jerusalem. When the UN convoy of several automobiles came close to the jeep on Palmach street, the driver of the jeep drove out in front of the convoy and stopped them. Major Moshe Hillman, Bernadotte’s Israeli Army liaison officer, thought that it was an Israeli army check point, and identified himself. But the assassination team had already jumped off the jeep, and started checking the UN vehicles. When Yeoshua Coen came to the last car and opened the door, he cried out, "Here he is!" At that time, Hillman was coming down and demanded, "What are you doing?" Cohen had already fired into the back seat of the sedan, and instantly killed the French Colonel Andre Sareau. Then Cohen leaned into the back seat and fired off several rounds with his automatic weapon hitting Bernadotte in the chest. As Cohen was killing Bernadotte, he heard shots from the other side of the car. He believed that his squad was getting resistance, but it was his own people who were shooting the tires of the UN vehicles. The assassination team quickly made a getaway. Hillman opened up the rear door and saw the dead French Colonel, but Bernadotte was still alive. Bernadotte, white as a sheet in the face and in a cold sweat, told the Israeli army officer, "They have shot me!" Hillman ordered the Israeli army driver to drive the car as fast as he could to an English hospital. A few minutes later the shot up car arrived at the emergency entrance of the hospital and Bernadotte was taken inside for emergency treatment. After a few minutes, Dr. Neumann came out and told Hillman that Bernadotte was dead. The murder created a political upheaval and the Israeli government had to defend itself, that it had nothing to do with the murder. A hunt for the murderers was ordered, but by that time the four assassins had been concealed in Jerusalem. Four days later they were taken in a moving van to Tel Aviv where they melted into the general population. They were never caught and brought to justice. Forty years later they felt safe to come out into the open and confess what they had done. They felt that they had saved the State of Israel and showed no remorse at all. Yehoshua Cohen, in later years, became a good friend with David Ben Gurion (a Polish Jew born in 1886 and the first Prime Minister of Israel from 1948-53), as he lived as a neighbor with David Ben Gurion. Before Cohen died, he made the following statement: "With the Bernadotte action, Ben Gurion was able to kill two flies with one swat, he got rid of Bernadotte and us (the Stern Gang)." In her book, Katharine The Great (1979), Deborah Davis points out that Newsweek was owned by the Astor Foundation. The most dominant figure of the organization was Gates White McGarrah. His grandson was Richard McGarrah Helms, a leading figure in the CIA’s Directorate of Plans that ran Mockingbird. Helms was a childhood friend of Ben Bradlee (page 141). In the early 1950s Bradlee worked for the Office of U.S. Information and Educational Exchange (USIE). This was an organization under the control of the CIA. In 1953 Bradlee went to work for Newsweek. Recently released documents concerning the Rosenberg case show that while employed by Newsweek, Bradlee was also working for the CIA. In 1961 it was Ben Bradlee who told Phil Graham, the publisher of the Washington Post, that Newsweek was up for sale. Bradlee told Graham that he had heard this from his good friend, Richard Helms (page 142). Phil Graham had been recruited to Operation Mockingbird by Frank Wisner soon after the CIA was created in 1947. Wisner and Graham had both been members of the OSS during the Second World War. Ben Bradlee's maternal grandfather, Carl de Gersdorff, was a famed New York lawyer.He was a partner of Cravath,Henderson & de Gersdorff. The firm's most valued client was the investment bank Kuhn,Loeb. John J. McCloy began his legal career at Cravath,Hendersn & de Gersdorff. The 1961 deal that Ben Bradlee set up, which enabled the Meyer-Graham Dynasty's Washington Post Company to purchase Newsweek from the Vincent Astor Foundation and former New York Governor Harriman, was arranged and financed in such a way that David Halberstan describe it as "one of the great steals of contemporary journalism" in his book The Powers That Be. The same book noted that, although the official 1961 selling price for Newsweek was $15 million, "in the end no more than $75,000 really changed hands." For arranging the deal that brought Newsweek into the Washington Post media conglomerate's stable, Bradlee received a finder's fee. The grandfather of former Central Intelligence Agency Director Richard McGarrah Helms, an international financier named Gates White McGarrah, "was a member of the board of directors of the Astor Foundation which owned Newsweek prior to tis sale to the Washington Post Company in 1961, according to Katharine The Great by Deborah Davis. The same book also revealed that in 1961 Bradlee "is said to have heard from his friend Richard Helms, who heard it from his grandfather that Newsweek would be put up for sale." Bradlee then obtained a check from the Washington Post Company head at the time, Philip Graham, for $1 million, to give to former CIA Director Helms' grandfather as a downpayment for the purchase of Newsweek. the JFK Assassination. JFK was a staunch opponent of the Federal Reserve Bank. Fancy that. Gates W. McGarrah, president of the B. I. S. (Bank for International Settlements) at Basle, Switzerland, which has replaced the defunct office for reparation payments in Berlin (TIME, Sept. 23, et seq.). Switzerland has worked wonders with Tycoon McGarrah. When he reluctantly resigned as board chairman of the Federal Reserve Bank of New York to go abroad and try to make the Young Plan work, no clam was closer, no Scotsman more cautious, dour. There was danger then lest reporters trap Mr. McGarrah into what could be construed as an admission that the B. I. S. might become "The World Bank," the omnivorous big brother, the dread competitor of the central banks of the world's nations. On one side of McCloy's property lived Frederick Warburg, grandson of Jacob Schiff. (Jacob Schiff happened to live next door to the Rothschild ancestral home in Frankfurt, Germany before he immigrated to the U.S.). On the other side of McCloy lived "McCloy's old fishing partner Henry Brunie,his wife, and their daughters, who considered McCloy an adopted uncle. "p.504,The Chairman. Who was Henry Brunie? Read on. It seems to me that the first plans for the Kennedy assassination were laid out in Cos Cob amongst these three men before the plan was handed over to Allen Dulles. It was probably Brunie who came up with the Dallas location. He had lots of connections in Dallas. "BIGGEST U.S. GAS DEAL has just been signed between Dallas' Oil & Gas Property Management, Inc. and Panoma Corp. of Amarillo, Texas, one of the biggest independent gas producers. O.G.P.M., formed two years ago by Manhattan Bankers Henry Brunie and C. L. Rice Jr. purchased $18 million in Southwestern properties, will buy up Panoma's entire holdings (two gas-extraction plants, 218 gas wells, 133,788 acres of leaseholds) for a total $118 million, pay for it with $40 million in cash, the rest out of production." It seems McCloy managed to do some fishing in Vermont, Arizona and Texas (page 504,The Chairman). More than likely he fished in Texas with Brunie his old fishing partner.His brother-in-law,Lew Douglas, lived in Arizona.Who was in Vermont? In Vermont, both Baron Louis de Rothschild and Heinrich Bruning lived within the same area.Rothschild died in 1955. Bruning in 1970. Bird, Kai. The Chairman: John J. McCloy, The Making of the American Establishment. New York: Simon & Schuster, 1992. 800 pages. John McCloy (1895-1989) is the archetype of twentieth-century power and influence; his wide-ranging activities offer ample evidence for anyone who has ever felt that U.S. policies are designed by and for a tiny Yankee aristocracy. 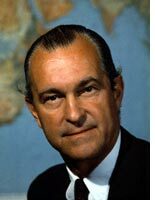 A sampling of his career: assistant secretary of war (1941- 1945), high commissioner of Germany (1949-1952), president of the World Bank (1947-1949), chairman of Rockefeller's Chase Manhattan Bank (1953- 1960), chairman of the Council on Foreign Relations (1953-1970), chairman of the Ford Foundation (1953-1965), disarmament advisor (1961-1974), Warren Commission appointee, Wall Street attorney for the seven sister big oil companies, and director of numerous corporations. It's almost redundant to add that McCloy was also well-connected to U.S. intelligence agencies. This first major biography of McCloy was written over a ten-year period. Special emphasis is given to several controversies in his career: the internment of the Japanese in WW2, the decision not to bomb Auschwitz, his clemency for Nazi war criminals, the use of Nazis by U.S. intelligence, and the Warren Commission (nothing new on the WC). The book is based on over a hundred interviews (including nine with McCloy), several hundred Freedom of Information Act requests, McCloy's private papers, and material in numerous archives and libraries. 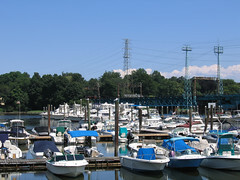 According to McCloy's official biographer, (Kai Bird's "The Chairman",p.504), John J. McCloy and Frederick Warburg were next door neighbors in Cos Cob, Connecticut. This is very important as it establishes an intimate connection between a senior partner of Kuhn Loeb and his senior corporate lawyer. McCloy and Warburg knew each other since early childhood. The relationship becomes intriguing when one considers that John J. McCloy has left his footprints around such events as the bombing of Hiroshima and Nagasaki, the JFK assassination and the Holocaust. It was McCloy who refused to bomb the railroads leading to Auschwitz. Considering McCloy's relationship to Warburg's Kuhn Loeb and the German Warburg's relationship to Hitler's regime and I.G. Farben, flags should begin to be raised as to who may have really been behind these and other important events. According to Kennedy's appointment book, on March 12, 1961,Kennedy had a one hour private meeting with John J. McCloy on Frederick Warburg's Estate in Middleburg, Virginia. In 1934, Frederick Warburg bought the property neighboring the Goodwin farm and built the Manor House that exists today. In 1939, Warburg bought the Goodwin property in order to enlarge his estate. Warburg and his wife, Wilma, maintained the façade of the Goodstone mansion as a backdrop for a poured concrete, heated pool, built around 1948. The Warburgs also added the bath houses and arbors and landscaped the property. This created an elegant venue that the Warburgs used frequently for entertaining. The Warburgs were part of the famed German and later New York banking family. They maintained a primary residence in New York City, as well. They used the farm during fox hunting season and intermittently as a fall and winter residence. The Warburgs renamed the estate Snake Hill Farm because of the winding road bordering the property near the Manor House. During their ownership, the property was operated continuously as a horse farm and as a dairy until the 1960s. The current owner purchased the property from the Warburg Estate in 1996. Joe Kennedy & "The Outfit"